Christmas had only just finished when Big Bear started asking about his birthday, which was six months away. Celebrating birthdays with additional needs can be a tricky process. Until the age of four he hated opening presents. He found it too overwhelming and every time someone handed him a gift he would either throw it or cry. I’m not sure what changed but on his fourth birthday, he discovered that he actually quite liked birthdays and unwrapping presents wasn’t as bad as he thought it was. 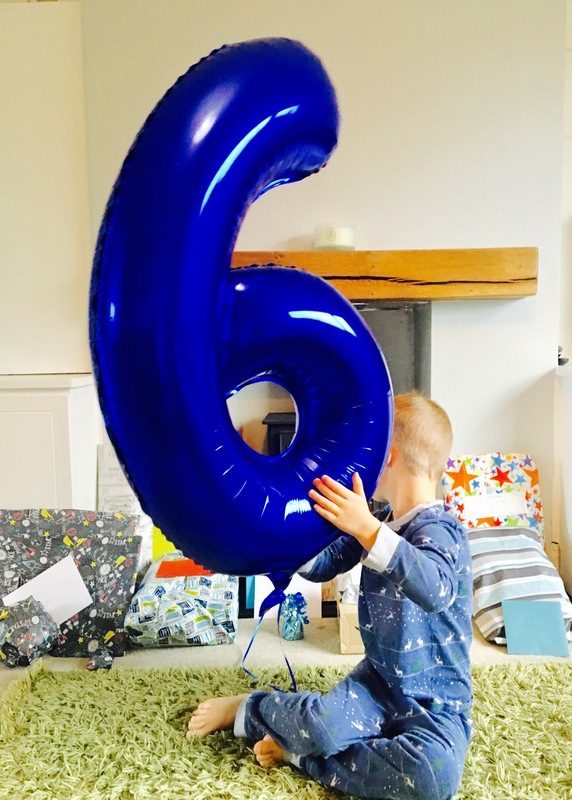 This week we celebrated Big Bear’s sixth birthday. Early on in the year he decided that he really wanted to go to Thomas Land instead of having a big party. 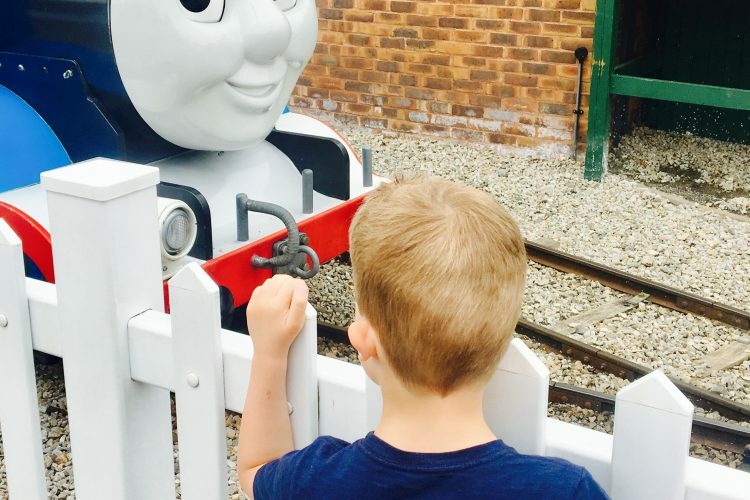 Two days before his birthday, off we went to Drayton Manor in Staffordshire, home of Thomas Land. I booked the tickets in advance with the Max Card and received a 53 per cent discount. We also arranged for two fast track passes, enabling us to bypass the queues for the rides. Both these things made a massive difference to our pockets and the smooth running of the day. We didn’t use the passes on every ride as I wanted them to practise queueing in short bursts. However, it was handy for the longer queues. Both Bears had a fantastic and stress-free day, running around with their little Cousin Bear who came too. For three Thomas-mad little boys it was heaven. The trickier part of planning his birthday was deciding whether to invite people round for a birthday tea on the actual day. Although Big Bear had said he wanted a day out over a party, he has a few friends with birthdays around the same time and has been invited to a few of their parties. To avert a last-minute meltdown, I invited a some friends and their siblings over for a birthday tea, which was ‘definitely not a party’. The plan was to send all the kids out into the garden to play and then feed them chicken drumsticks, corn on the cobs and ice-cream. Job done. I didn’t want more than 10 children so I invited a few of the neuro-typical friends he’s known since he was a baby plus a little group from his circus class – a mix of neuro-typical and additional needs children. Although I’m told he ‘plays’ with children at school, in reality he flits between groups and doesn’t have a core group of mates. Annoyingly the weather didn’t play ball so I needed a Plan B. I hurridly put a pass-the-parcel together the night before and stuck a disco bulb in the lounge. For the first half of the two-hour birthday tea I laid out a few different areas of play. Inside for those who were cold and outside for the hardy ones. Keeping the numbers down and the atmosphere relaxed proved to be a winner and Big Bear enjoyed having people around. The children sat down together for the food, games and dancing in the second hour. In fact, they were enjoying dancing so much that it ended up overrunning to two-and-a-half hours. Ok, the birthday tea probably ended up being more of a party than I had planned, due to the weather, but it ticked all of Big Bear’s boxes for a successful birthday. And it was cheap. I’m aware that managing his birthday expectations will probably get harder the older he gets. The school invitations have already dropped off this year compared to last year and as friendships and group dynamics change it will probably get trickier to navigate. For now though, we’ve successfully ticked off another birthday and have a very happy Big Bear. The biggest problem we currently have is answering Little Bear’s daily questions about his own birthday….in December. Sharing is caring! If you enjoyed reading Celebrating birthdays with additional needs, share with your friends and family. Have you read: How do you solve a problem like transition?